Farm Bureau Life Insurance Company is one of over 800 life and annuities companies in the U.S. With so many life insurance companies to choose from, how do you know which one is right for you, providing the life insurance quotes and rates that fit your budget? In the following Farm Bureau Insurance review, we will cover the company’s history, financials, ratings, products and services offered. Is Farm Bureau Insurance right for you? History – When choosing a life insurance provider, the first thing we look for is history; let’s face it, although every company must start somewhere, the financial security of a three-year old company wouldn’t necessarily fill us with confidence. With Farm Bureau, the company formed in 1939 in Iowa and they originally went by the name Iowa Farm Mutual Insurance Company offering liability insurance products to all the local farmers. Over the years, the company enjoyed success and managed to expand to more locations and even more professions. Soon enough, more products were added including auto, home, and life insurance. According to the latest numbers, Farm Bureau Mutual Insurance Company now has over 4,000 field associates and 1,600 employees. With over 75 years of coming through for Farm Bureau members, they now sit alongside the other reliable and trustworthy insurance providers. Financials – We like to look through the financial position of life insurance companies because a long history doesn’t always lead to financial security. Fortunately, this company is more than happy to make their statements public to all which means we see their $1.2 billion policyholder surplus. In addition to this, 2016 saw them receive over 200,000 claims (just under 100,000 of which were a result of storms). Although these finances account for all departments of the company, it’s good to know that their life insurance products are a part of a much larger project. In terms of life insurance coverage, they now have $1.35 billion worth of in-force policies and this has been steadily growing for quite some time. In the last five years alone, it has increased from $1.28 billion so you certainly wouldn’t be alone in joining this company if you choose to do so. A.M. Best – If these numbers mean nothing to you and your assessment of Farm Bureau, you need some way of judging them against other companies and this is what we have with the likes of A.M. Best. As an independent agency, A.M. Best has been reviewing the financial position of companies – in order to provide a score – for many years. With Farm Bureau (the life insurance section of the company), the most recent review came in at ‘A’ which is the equivalent of ‘Excellent’. Essentially, this means that A.M. Best believe the company can continue to meet the demands of their customers in the coming years. Has the company only just been promoted to the A grade? No. In fact, Farm Bureau is in an elite group of life insurance companies who have held an A rating for over 50 years. If you’re looking for an insurance company who can meet your demands now and in 30 years’ time, you can’t go wrong with Farm Bureau. 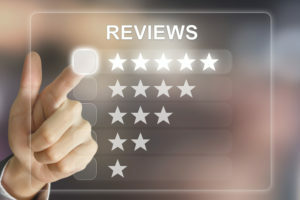 Better Business Bureau – If you’ve seen one of our reviews previously, you’ll know how it works and that we like to also assess reviews from the Better Business Bureau (BBB). Why? They like to assess complaints, advertising, and other PR-type factors. Working on a scale between 0-100, the score of above 97 for Farm Bureau means they’re an ‘A+’ and have the best rating possible. In addition to solid finances, this means you should be treated well as a customer; if you have any issues, they should have the facilities to act immediately. You can check with your local state to inquire into Farm Bureau membership. For Farm Bureau members, the Farm Bureau Insurance website is extensive in offering details of the different insurance policies offered. Depending on your insurance needs, you can click through the different departments whether it’s life/health, business, or property-related. If ever you’re unable to work because of a serious injury or illness, you need to replace your income in some way and Farm Bureau provides this opportunity with long-term disability insurance. According to the company themselves, you can use the money as you wish which means you can pay bills and spend on medical expenses, car payments, rent, groceries, and credit card balances. For some, they reach a point where their bodies just don’t operate as the mind wants and this leads to home care, nursing home and assisted living facilities. Even if you choose in-home help, this long-term care insurance policy will work for you. While you’re young, Farm Bureau offer affordable payments just in case you need it in the future. Since this can become an expensive process, it could be a wise move now. As the first of the life insurance products, term life insurance can last 10, 15, 20, or 30 years depending on your needs. With this policy, you actually have more choices within such as return of premium additions or the opportunity to get started with no medical examination and very little paperwork. Whether you want to cover a mortgage or your children while in education, this term life policy could be what you need. If you need coverage to last until you pass away, Farm Bureau’s whole life insurance product comes with a cash value; this will grow alongside the death benefit. Once you die, the benefit goes to the beneficiaries and they can choose between different payment options. There are more choices within the whole life umbrella with some offering a faster rate of growth for maximum cash value growth and others providing access to living benefits as well as the death benefit. For those with children, you can even add your children and grandchildren to a policy and get them set up at a young age. Finally, the final policy comes in the shape of a universal life policy. Since your needs are likely to change over time, the universal life policy is more flexible than any other with a chance to adjust death benefits and premium payments. As the policy accumulates cash value, Farm Bureau believe you can start a business, purchase a home, or just make retirement more comfortable with the proceeds. Of course, taking money against the policy will reduce the death benefit but this isn’t a problem if your needs have adjusted, your policy accrues interest greater than your loan, or you have the ability to repay the loan. Property and Casualty Insurance – Property and casualty insurance products are issued through Farm Bureau Property & Casualty Insurance Company. Auto Insurance – If you own a vehicle of any kind, you’ll know the importance of insurance and Farm Bureau covers all bases with motorcycle insurance, car insurance, roadside assistance, recreational vehicle insurance, and even farm vehicle insurance. Regardless of your vehicle, Farm Bureau Insurance Company has something for everyone in addition to the roadside assistance which offers 24/7 recovery and support. Home Insurance – If you’re looking to protect your home, this is a good move (especially with all the extreme weather incidents in recent times). With the right coverage, you can protect your property as well as the belongings inside. Farm Bureau offers a healthy selection of policies including condo insurance, homeowner’s insurance, residential equipment insurance, mobile home insurance, and renter’s insurance. If you have a property not covered in the list, such as a garage, this can be filed under the ‘Other Property’ policy. Additionally, $25 per year will provide you with protection against identity theft which is something that not all providers offer these days. As you can see, flexibility is an important feature for Farm Bureau and your policy can be tailored to your own needs. Farm or Ranch Insurance – Next up, we have insurance policies for farmers and ranchers. Alongside protecting your home, the policies can cover all tools, equipment, crops, and livestock. Ultimately, there are two policies – crop/livestock insurance and ag-related business insurance – and they come from the company’s roots back in the 1930s. And if you are a farmer or rancher and you own your land, consider permanent life insurance as a financial vehicle to help facilitate the transfer of your land to your heirs. Business Insurance – Are you a business owner? Sometimes, it can be frustrating having various policies all with different companies but you should now recognize the potential to have everything all under one umbrella with Farm Bureau. For business owners, you can choose commercial business insurance, business succession, employee benefits, commercial business insurance, home-based business insurance, and worker’s compensation. Overall, there are clear benefits to choosing Farm Bureau and the sheer flexibility with policies is impressive (to say the least!). With one reliable provider, you can have your home, auto, farm, life, health, and business insurance. Even after this, they can help with investment opportunities too. We do not represent Farm Bureau Insurance. In order for a quote on the company’s products, you will need to reach out to a local Farm Bureau insurance agent. Rather, our goal is to provide potential clients with the insight into the different life insurance carriers out there so you can make an informed decision on which company best serves your needs and meets your goals. Our primary focus is aligning each individual client up with the company and policy that is tailored to your specific objectives.